Bentonite is a type of clay used in skin detox and intestinal detox regimens. The medicinal use of clay dates as far back as ancient civilizations in Europe, Asia and North Africa. Cleanse.net notes that the use of clay for purification still was advocated in the 20th century by notable people such as Mahatma Ghandi and the German naturopaths. Many modern herbalists rely on bentonite’s absorptive properties and its ability to draw heavy metals and toxins out of the body. Internal use of bentonite can cause some intestinal discomfort. You can minimize or avoid this side effect by drinking plenty of water and other fluids until the bentonite in your system passes. During an initial detox, you may experience secondary side effects which include headaches, muscle pain and joint stiffness as stored toxins are released from your system. When you repeat this process, you may experience these side effects again, although less severely than during your first cleanse. There are no known health concerns or other drawbacks associated with prolonged, regular use of external bentonite as a skin cleanser. You may even find it beneficial to continue taking bentonite baths after your initial cleanse, as it is fairly likely that your skin will be exposed to new toxins from contaminants in the air and the water you use. 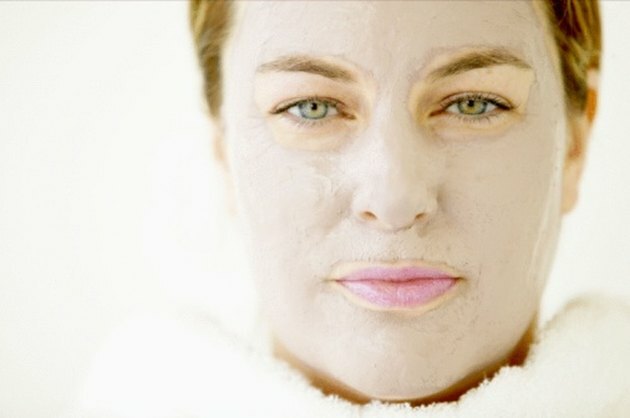 High-end spas often feature clay baths that include bentonite, for skin rejuvenation and cleansing, and patrons may take clay baths as regularly as once a week. Prolonged use of bentonite is not only beneficial in external applications, but can also have a positive impact internally. As with baths, there are no known health concerns in humans due to prolonged bentonite ingestion. Some proponents even recommend occasional continued use of bentonite after your first detox. Just as contaminants re-accumulate on your skin, they also return through the food you eat. When you take commercial cleansing products with bentonite, pay attention the additional ingredients. While bentonite itself may not harm you, other components of bentonite cleansing products and bentonite bath additives may be harmful over periods of prolonged exposure. Brian Dunning, commenting for the Skeptoid website, has noted that bentonite cleanses that contain psyllium will bond to form a flexible cast of the inner wall of your digestive tract. This results in a solid, rubbery discharge. This discharge carries the bentonite, psyllium and accumulated toxins from your intestinal tract when excreted. Although this side effect of ingesting bentonite may be uncomfortable or embarassing, it is not known to be harmful to either your health or your plumbing. The FDA rates bentonite as “generally regarded as safe” as a food additive, but it can be harmful if inhaled or exposed to your eyes. The World Health Organization has found no evidence of harmful side effects in humans, and has also studied the positive effect of bentonite compresses as a topical treatment for buruli ulcer, which is a serious skin disease.